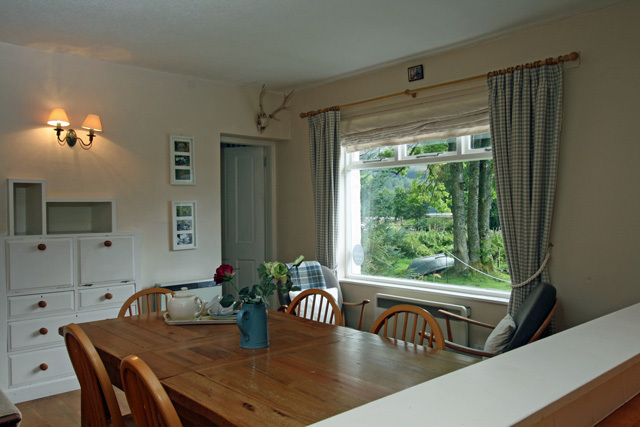 Lilybank is a traditional cottage situated in a secluded location just a few minute’s walk from the centre of the popular village of Fort Augustus at the southern end of Loch Ness. 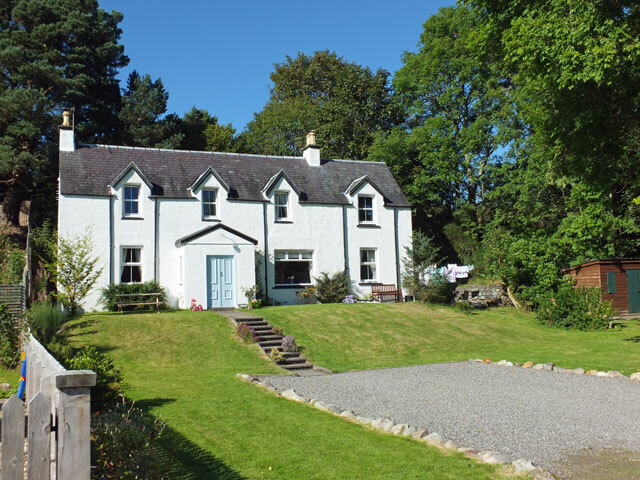 The property enjoys views onto the River Oich and to Loch Ness, and its location an ideal base for a touring holiday with Fort William, the west coast and the Isle of Skye being within an hours’ drive. 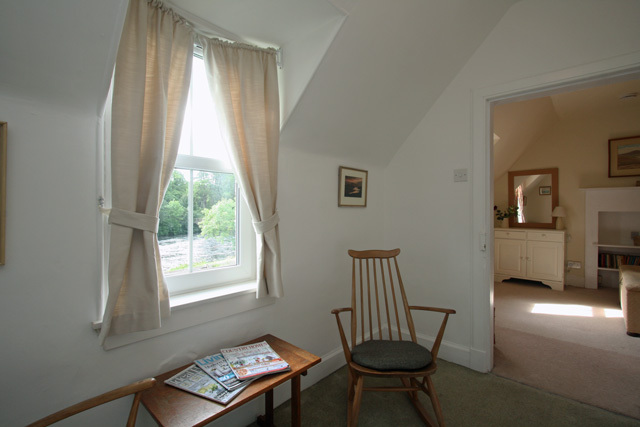 The accommodation at the property is located over two levels and the main rooms all benefit from river views. 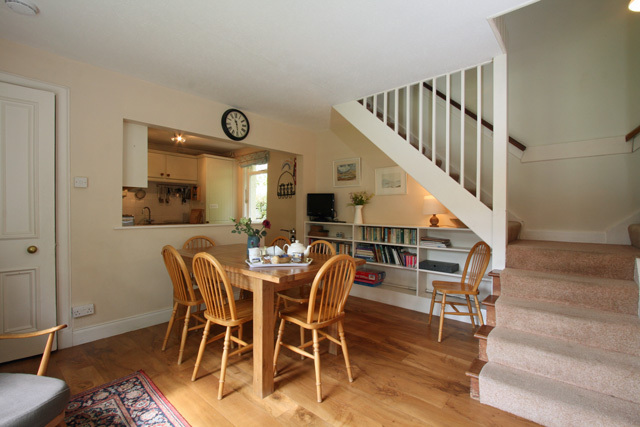 Entering the property takes you into the hall with the sitting room with its comfortable sofas and wood burner to the left and to the right an open plan kitchen and dining room with the armchairs ideally positioned to enjoy the views to the river. 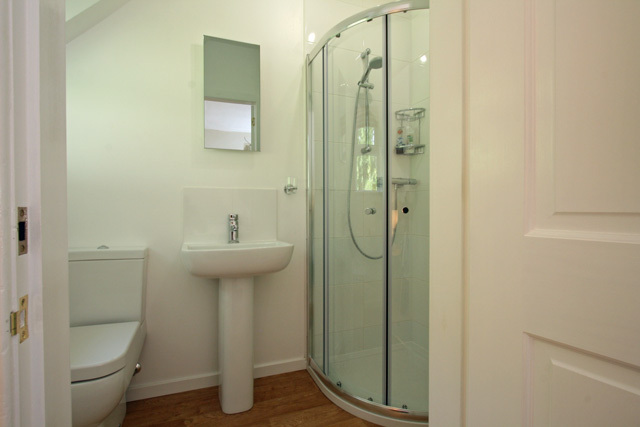 A cloakroom and utility room completes the facilities on this level. From the dining room stairs lead to the upper level and the bedrooms. 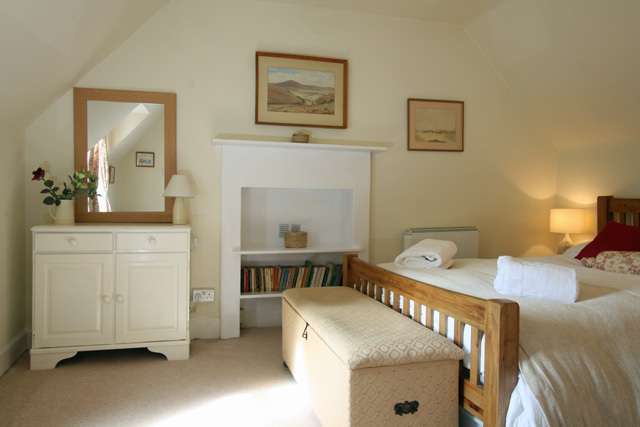 Accommodation on this level comprises of a bedroom with a king size bed, a twin bedroom, and a master bedroom with an en-suite shower room and a separate seating area, a family bathroom with a bath with shower over completes the facilities on this level. 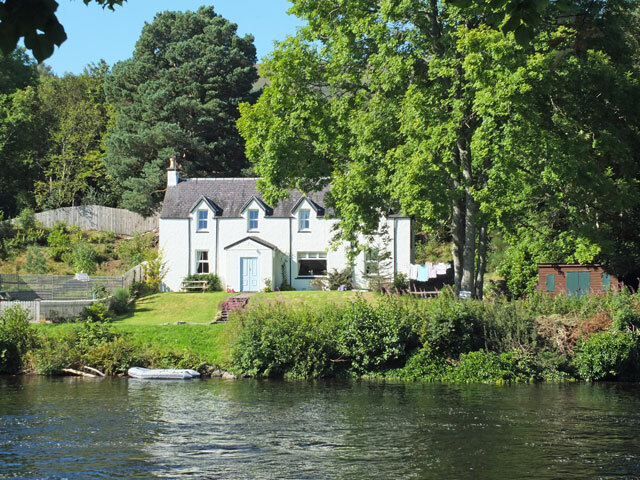 The property is located alongside the River Oich and its large and spacious garden is enclosed, although it is close to the river and the loch, so parents with younger children should be careful. 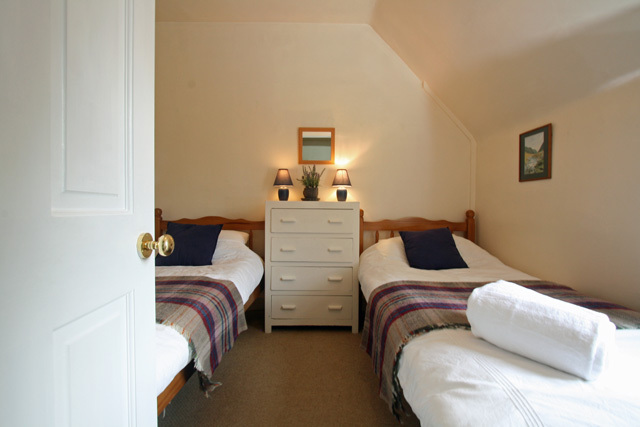 The main garden area is located directly in front of the property, however guests are free to explore the area beside the house which leads down to Loch Ness and offers some amazing views of the loch. 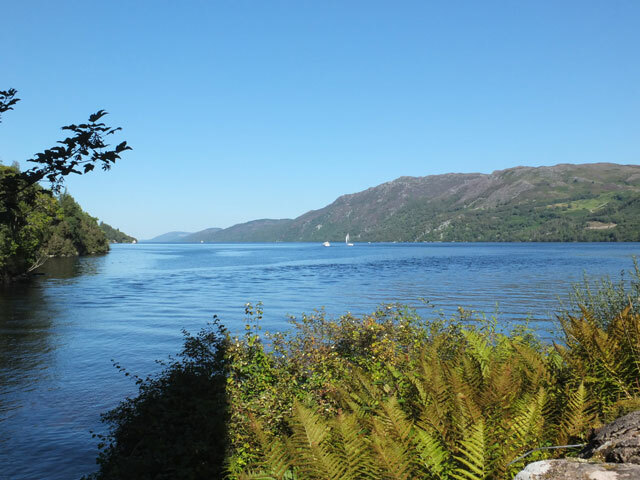 Fort Augustus itself offers a good range of facilities for the visitor including a few shops, cafes, restaurants, a Tourist Information Centre, and boat trips on Loch Ness with Cruise Loch Ness. 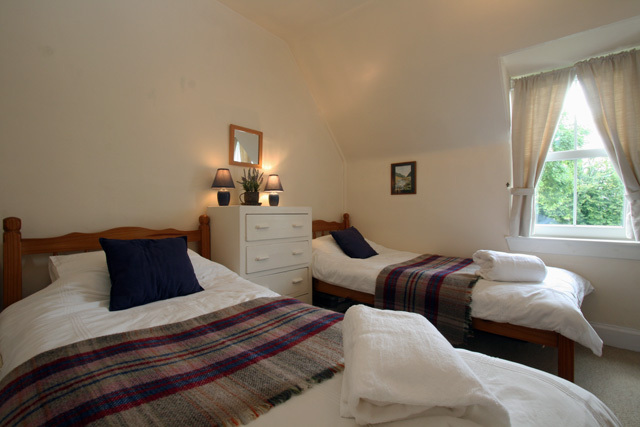 The village is located near the Great Glen Way making it ideal for the walker or mountain biker, so there is lots to do no matter what your age or outdoor pastime. 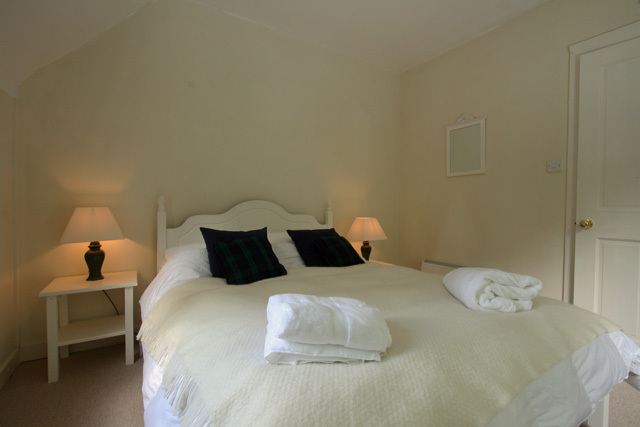 As mentioned the property would make an ideal base for a touring holiday with a number of attractions and places of interest easily accessible, a few must see include Urquhart Castle located near Drumnadrochit, the Nevis Range Mountain Experience at Fort William with its gondola ride to the top, and the most iconic of Scotland’s castles Eilean Donan located near Dornie on the way to the Isle of Skye. 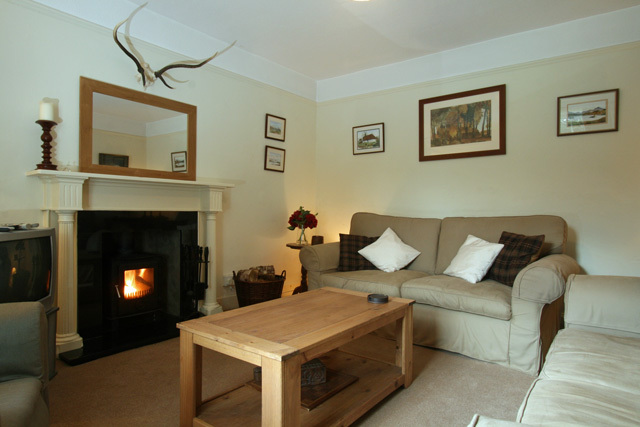 Sitting room, comfortable sofas and armchair, wood burner, Digital TV, DVD, CD, Radio, iPod dock. 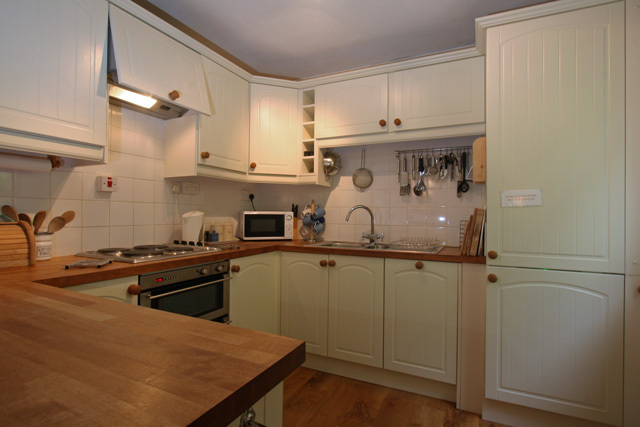 Kitchen, electric oven, electric hob, microwave, fridge/freezer, dishwasher, Tassimo coffee machine, dining table and seating for six, stairs to upper level. Utilty room with washing machine and tumble dryer. 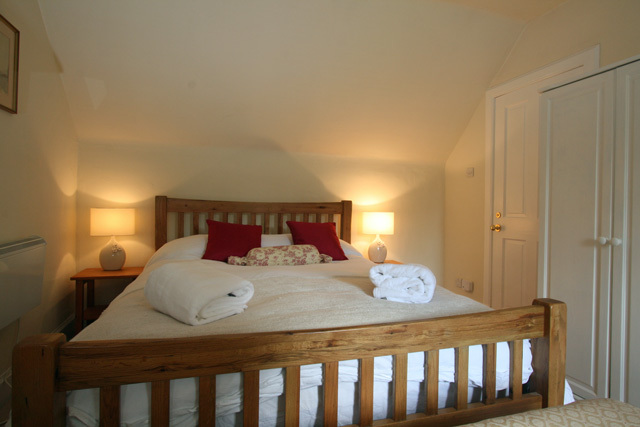 Master bedroom with king size bed, en-suite shower room, wc, whb, infared heating. Seating area with river view. Twin bedroom with river view. 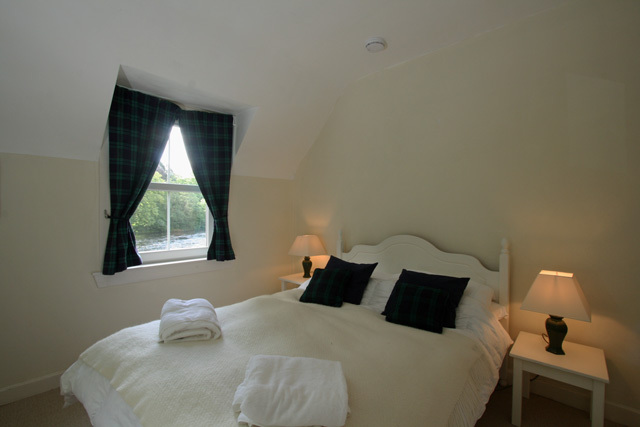 Bedroom with king size bed, loch and river view. 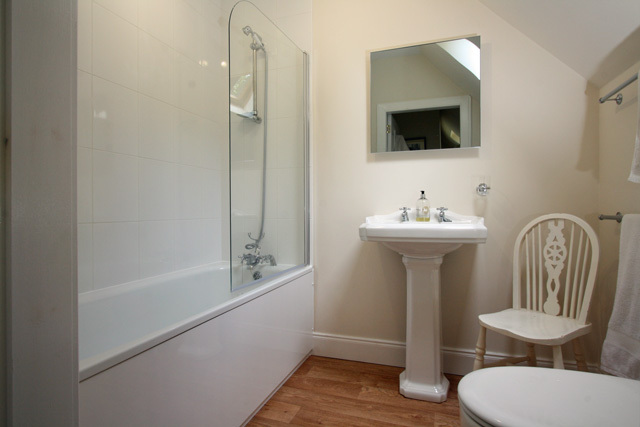 Bathroom, bath with shower over, wc, whb, infared heating. One small well behaved pet is allowed at the property and the garden is enclosed. Please phone or email to discuss prior to booking. Although the garden is fenced, young children should be supervised at all times whilst playing outside, due to the riverside location. Traditional property with scenic views. 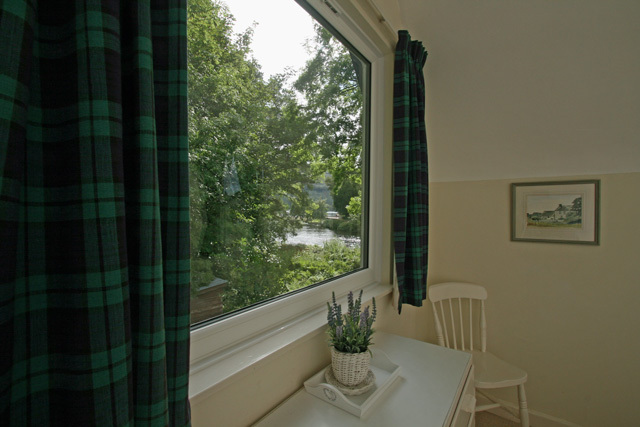 Ideally situated with the amenities of Fort Augustus a short walk away. 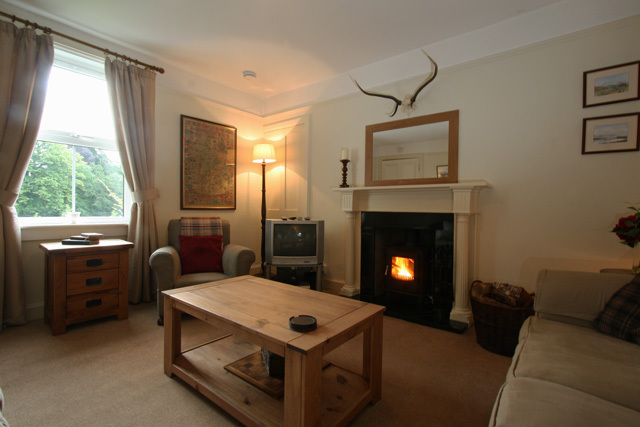 Central location and an ideal base for exploring Scotland.